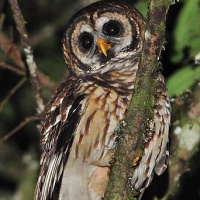 Introduction: The Fulvous Owl is a medium-sized owl with a rounded head and no ear-tufts. 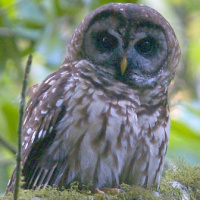 It is also known as the Guatemala Barred Owl. Typical duet - Cerro San Felipe, Oaxaca, Mexico. February 2012. CC Richard Hoyer. Description: The facial disc is pale ochre, darkening around the eyes. The rim around the facial disc is narrow and dark brown. Eyebrows are whitish. Eyes are blackish-brown, and the bill is corn yellow. Upperparts are dark rufous-brown with whitish and pale buffish flecks and scalloped with short ochre bars. Flight feathers are barred dark and light, and tail feathers have 3-5 broad light and dark bars. Underparts are fulvous-ochre, with brown barring on the neck, sides of head and upper breast. The rest of the underparts are broadly streaked rufous-brown. Tarsi are feathered fulvous-ochre. Toes are feathered near the base only, with remaining bare parts being yellowish-grey. Claws are dusky horn with darker tips. Size: Length 40.5-45cm. Wing length 300-333mm. Tail length 185-203mm. 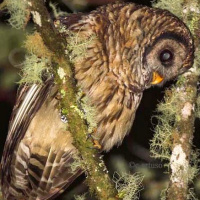 Habits: The Fulvous Owl is nocturnal, roosting during the daytime at well-shaded sites in trees or in natural holes. Voice: A rhythmic sequence of low, short and accentuated hoots - who-wuhu-woot-woot. 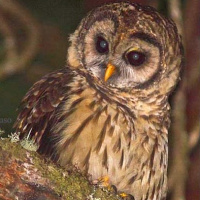 The number of individual hoots varies with the owl's level of excitement, as does the time between the phrases. The female has a similar song that is higher in pitch, and often uttered in duet with the male. There is also a parrot-like, nasal gwao call, given singly or in series. This owl will also give single hoots. 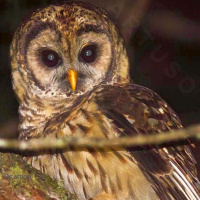 Hunting & Food: The Fulvous Owl feed on small mammals and birds, frogs, lizards, insects and arthropods. Prey are usually caught from a perch. 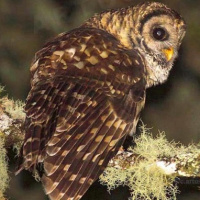 Breeding: Breeding biology is little known, but probably similar to other Strix owls. Generally nests in natural holes in tree trunks. Lays 2-5 white eggs directly on the bottom of the cavity. The female incubates the eggs alone, while the male provides her with food. Incubation period begins with the first egg laid, and lasts 28-30 days. Young have been observed in May. Habitat: Montane pine-oak forest and humid forest from 1200 to 3000m elevation. 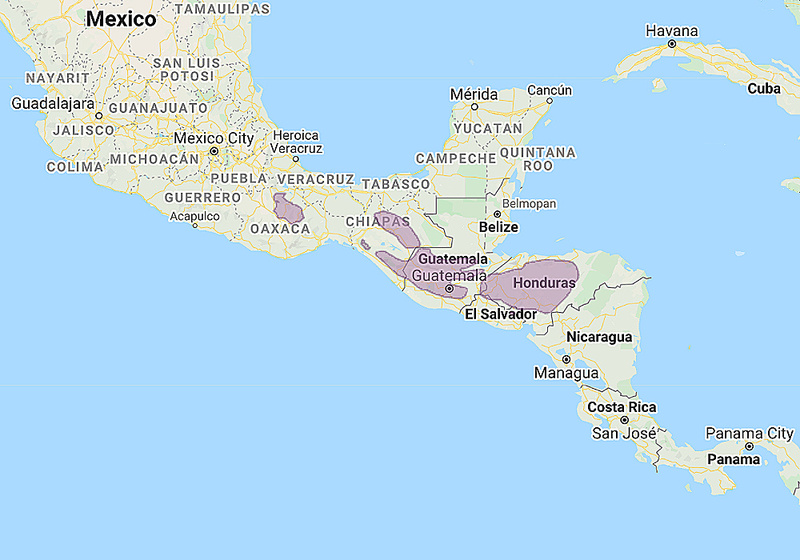 Distribution: Mexico south of Chiapas to Guatemala, El Salvador and Honduras. Original Description: Sclater, Philip Lutley, and Salvin, Osbert. 1868. Proceedings of the Scientific Meetings of the Zoological Society of London for the Year 1868 (PZS): Pt. 1, p. 58. 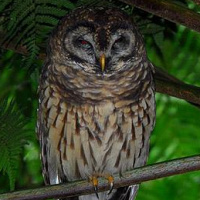 See also: Other owls from North America, Central America, Genus: Strix. Page by Deane Lewis. Last updated 2015-11-04.